Club Rascal Indie Disco: September CR rocks again! okay so we have been away for the summer having fun at Lowlands and getting very wet in the process, but we are back in September and gonna rock our way to x-mas. This coming Rascal we will be spinning all your fav indie tunes along with some brand new stuff to get you excited on that dance floor! 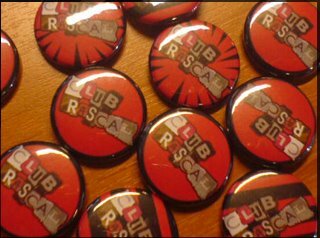 Along with the CR mix tapes we will also be handing out cool new CR badges, check pic below. Doors open at 9.30 and we rock till 4 in the morning. 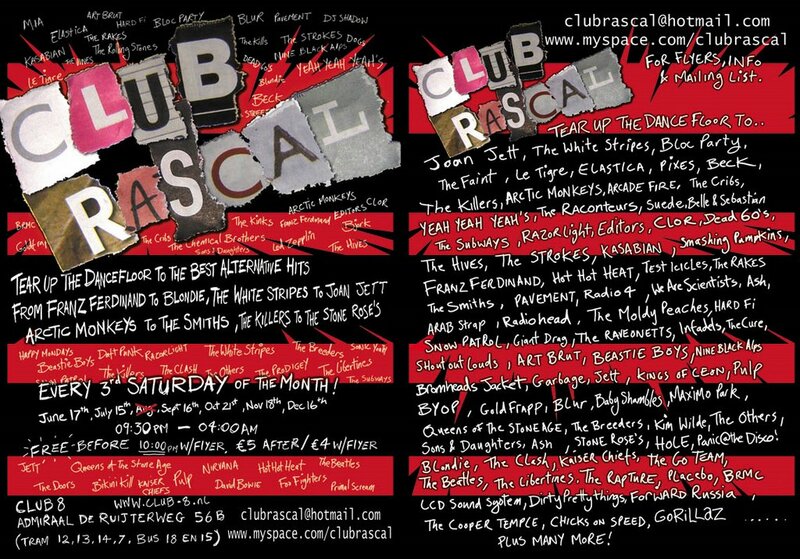 Rascal Flyer, print it out get in free before 10.30!